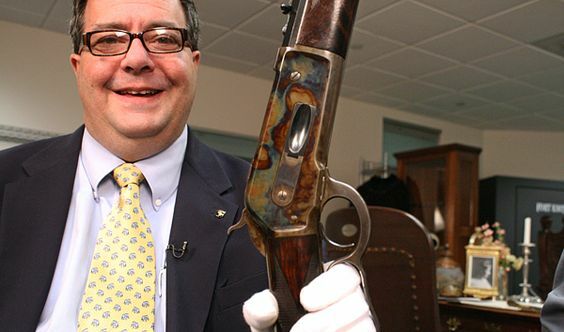 This week we talked to Phil Schreier, Senior Curator at the NRA National Firearms Museum. Phil appears regularly on NRA News, American Rifleman television, the History Channel, A&E and a host of other cable shows with firearms related programming. He also has written dozens of articles on firearms and military-related themes for American Rifleman, Guns & Ammo, Wild West, Shooters Bible and numerous other titles. In this episode we talk about Phil's review of The Revenant, the great John Milius, among other topics. In the photo above Phil is holding President Theodore Roosevelt's 1886 Winchester rifle.